Dale, who writes the comics. This is the new series. Gilding the lily? Never. Just watering it with blessed effort. New things will spring up in the attending weeks, with comics coming every two. Posters are in the shop, our podcast is here. The sun is very bright. I'm going for breakfast. David, who draws the comics. The new episode: in many respects a normal episode. Please visit the Freebies page for a number of tantalizing new items. First, we've got three new wallpapers, each depicting one of the characters introduced in this episode. Second, there's the podcast we posted last week. I didn't make al ot of noise about it because it's an experiment for us and it seemed best to gather some feedback first. It's been well-received, with an occasional caveat that it gets better than it begins. 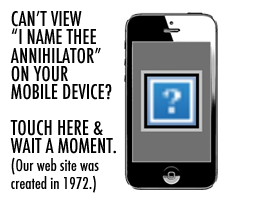 Please check it out, and let us know what you really think in the forum. 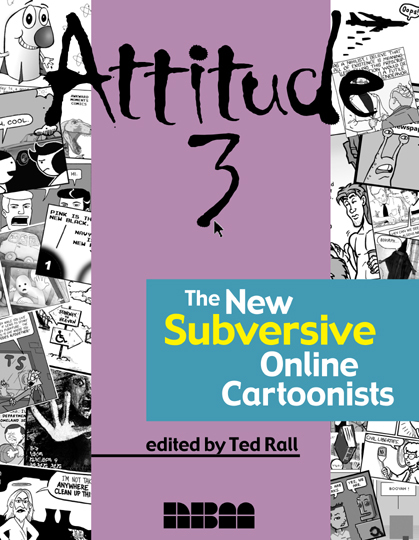 ATTITUDE 3: The New Subversive Online Cartoonists is a new book by Ted Rall. Dale and I are interviewed within, along with a slendid array of our contemporaries. Please pre-order Attitude 3 through Amazon! Not only will you be a trend-setting early adopter, but pre-orders helps more copies of the book get into bookstores! 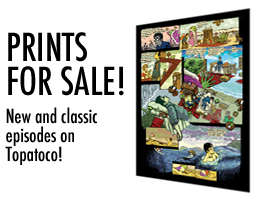 See the little falling book from episode 13 right underneath "Online Cartoonists"? ALSO! Dale and I will appear with Ted Rall and some of the other Attitude 3 artists for a book signing at Kim's Mediapolis at Broadway and 113th Street in Manhattan for the evening of Thursday, April 27th! Attitude 3 features: 1. Rob Balder: "Partially Clips" 2. Dale Beran and David Hellman: "A Lesson is Learned But the Damage is Irreversible" 3. Matt Bors: "Idiot Box" 4. Steven L. Cloud: "Boy on a Stick and Slither" 5. M.e. Cohen: "HumorInk" 6. Chris Dlugosz: "Pixel" 7. Thomas K. Dye: "Newshounds" 8. Mark Fiore: "Fiore Animated Cartoons" 9. Dorothy Gambrell : "Cat and Girl" 10. Nicholas Gurewitch: "The Perry Bible Fellowship" 11. Brian McFadden: "Big Fat Whale" 12. Eric Millikin: "Fetus-X" 13. Ryan North: "Daily Dinosaur Comics" 14. August J. Pollak: "XQUZYPHYR" & "Overboard" 15. Mark Poutenis: "Thinking Ape Blues" 16. 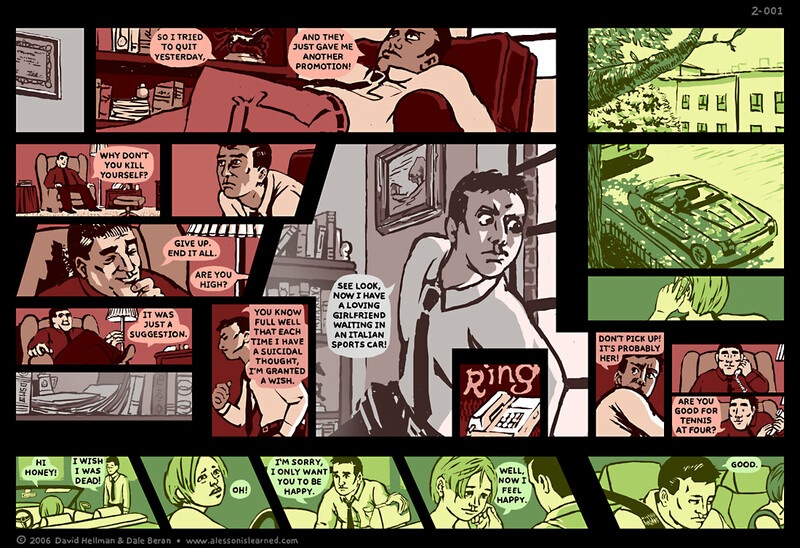 Jason Pultz: "Comic Strip" 17. Adam Rust: "Adam's Rust" 18. D.C. Simpson: "I Drew This" & "Ozy and Millie" 19. Ben Smith: "Fighting Words" 20. Richard Stevens: "Diesel Sweeties" 21. Michael Zole: "Death to the Extremist"